PYEONGCHANG, South Korea, October 14, 2014 (ENS) – Global wildlife populations have declined, on average, by 52 percent in the 40 year period since 1970, reports the global conservation nonprofit WWF. 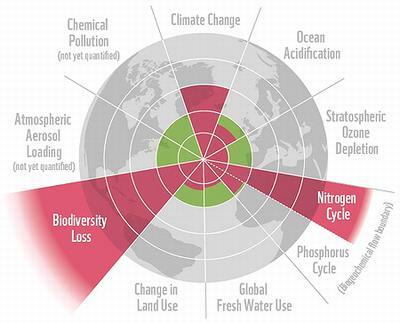 Habitat loss and degradation are the greatest threats to biodiversity, with exploitation of wildlife and climate change close behind. Released ahead of the ongoing 12th Conference of the Parties to the Convention on Biological Diversity (COP12) now taking place in Pyeongchang, the WWF’s Living Planet Report 2014 is based on the Living Planet Index, which measures more than 10,000 representative populations of mammals, birds, reptiles, amphibians and fish. Freshwater species have suffered losses almost double that of land and marine species. Most of these biodiversity declines are happening in tropical regions, with Latin America enduring the most dramatic drop in species. “In less than two human generations, population sizes of vertebrate species have dropped by half. These are the living forms that constitute the fabric of the ecosystems which sustain life on Earth – and the barometer of what we are doing to our own planet, our only home. 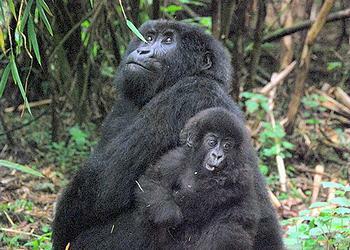 We ignore their decline at our peril,” warned WWF International Director General Marco Lambertini. “The Living Planet Report and the Global Biodiversity Outlook highlight the dramatic changes we have seen in wildlife, both on land and in water. As societies rapidly develop, it is critical to integrate biodiversity goals into national efforts to address poverty eradication, food security, water, health, and energy,” said WWF Director of Global Policy Susan Brown. In Pyeongchang, starting on October 6 and continuing through Friday, governments are working towards accelerating implementation of a global Strategic Plan for Biodiversity 2011-2020 and its 20 Aichi Biodiversity Targets. The collection of decisions to be taken at COP 12 is already being referred to as the “Pyeongchang Road Map.” It is expected to include a strategy to increase the financial and human resources available for biodiversity conservation and sustainable use. COP12 witnessed the historic entry into force of the Nagoya Protocol on Access to Genetic Resources on Sunday, following its ratification by 50 national governments, plus the European Union. This supplementary agreement to the Convention on Biological Diversity (CBD) provides a transparent legal framework for the effective implementation of one of the three objectives of the CBD – the fair and equitable sharing of benefits arising out of the utilization of genetic resources. Utilization includes research and development on the genetic or biochemical composition of genetic resources, as well as subsequent applications and commercialization. The Nagoya Protocol addresses traditional knowledge of genetic resources with provisions on access, benefit-sharing and compliance, particularly where indigenous and local communities have the established right to grant access to them. Nagoya Protocol Parties must ensure these communities’ prior informed consent, and fair and equitable benefit-sharing, keeping in mind community laws and procedures as well as customary use and exchange. The 50 Government Parties are holding the Nagoya Protocol’s first meeting from October 13-17 in Pyeongchang. A Biodiversity Summit for Cities and Subnational Governments, was convened in parallel with the COP from October 12 to 14. 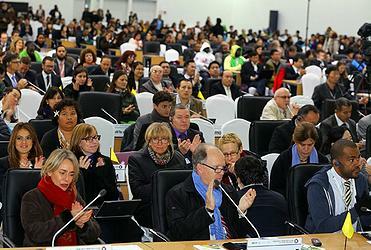 It attracted about 500 mayors and governors from around the world, who focused on cooperative governance for biodiversity. All the COP12 discussions are taking place under the theme, “Biodiversity for Sustainable Development.” They are happening within the context of negotiations of proposed Sustainable Development Goals and the post-2015 development agenda, currently underway at the United Nations. The UN’s eight Millenium Development Goals adopted in the year 2000 are intended to reach their targets by the end of 2015. One is to ensure environmental sustainability. The post-2015 Sustainable Development Goals are being negotiated now. These discussions on biodiversity for sustainable development will reflect and be reflected in the high level segment which will take place October on 15 and 16. These discussions are informed by the WWF’s 2014 Living Planet assessment, which was co-authored by the London Zoological Society, the Global Footprint Network and the Water Footprint Network.